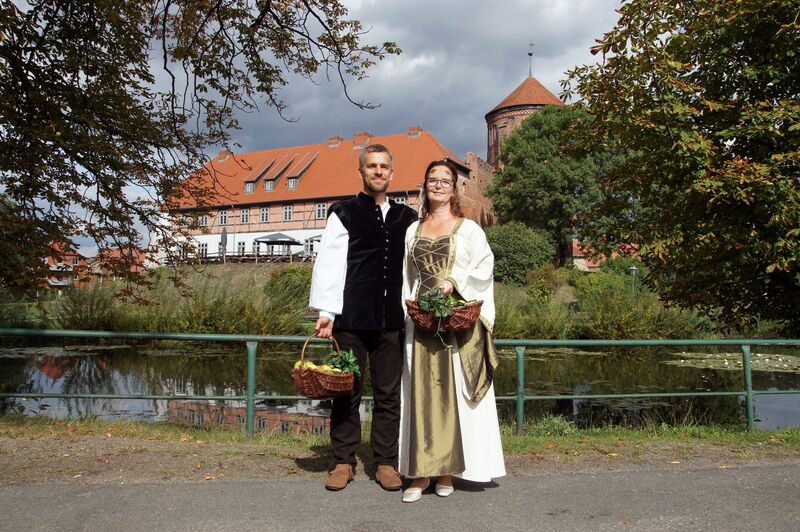 In the late summer of September we are guest in Mecklenburg Neustadt-Glewe. 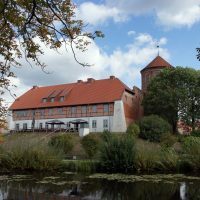 The landmark of the city is the historic castle with its defensive walls and the dominant keep. 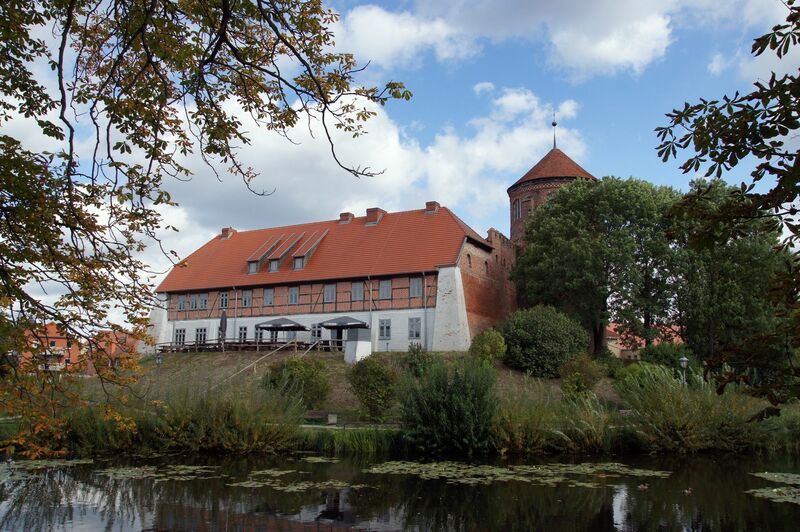 So we are on the way on historic tracks, since even Wallenstein resided in these walls for three days in 1629. 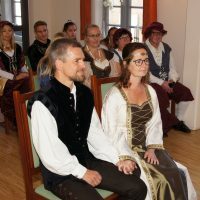 Our bridal couple would also like to write family history today. 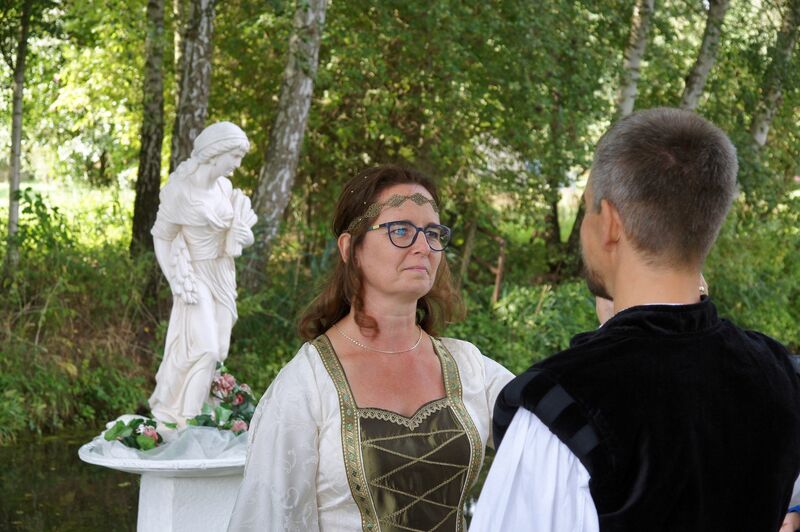 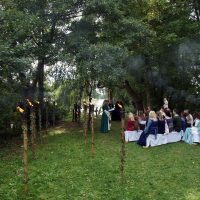 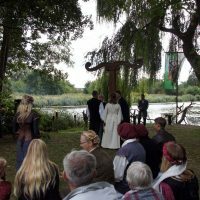 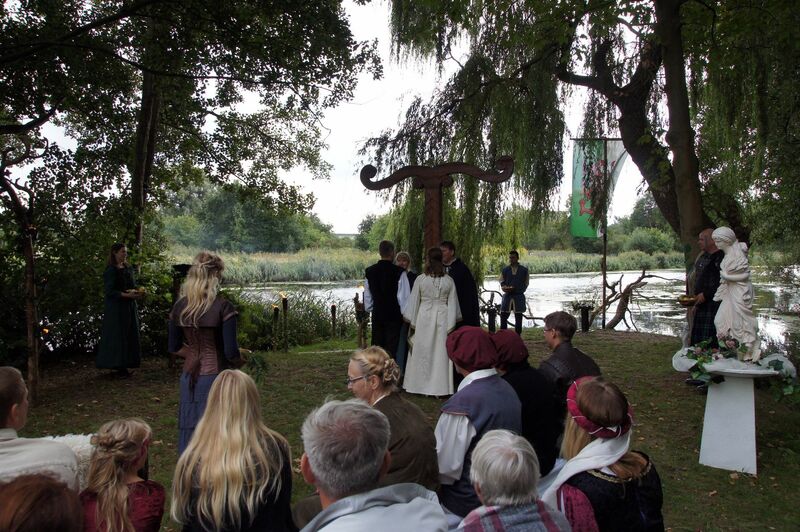 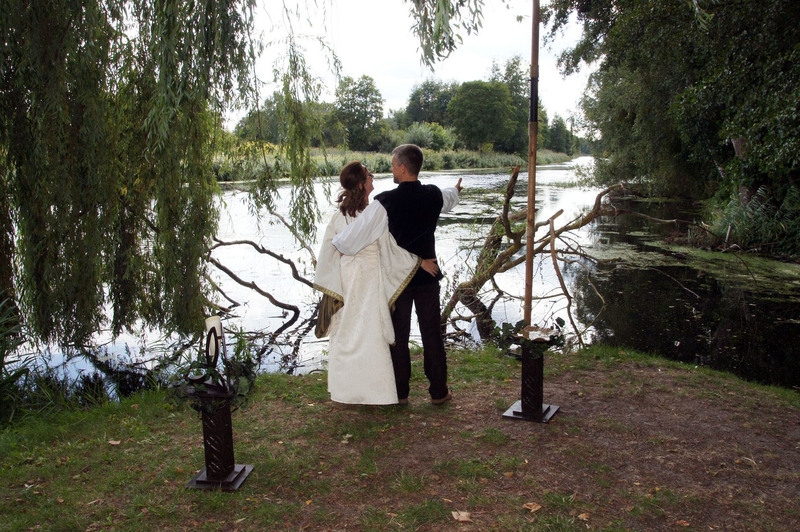 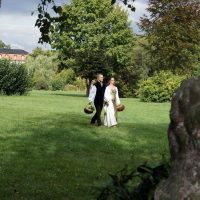 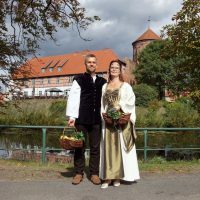 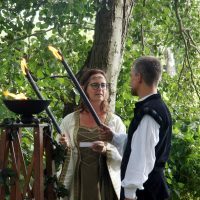 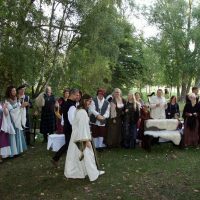 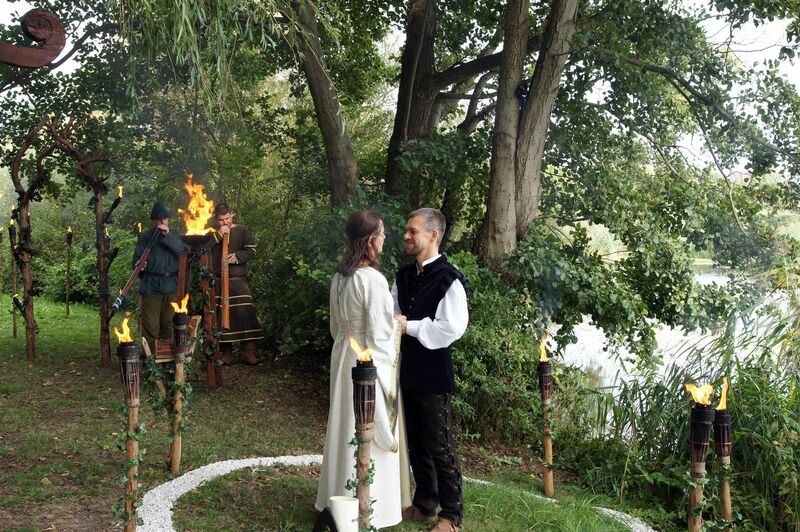 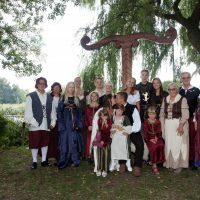 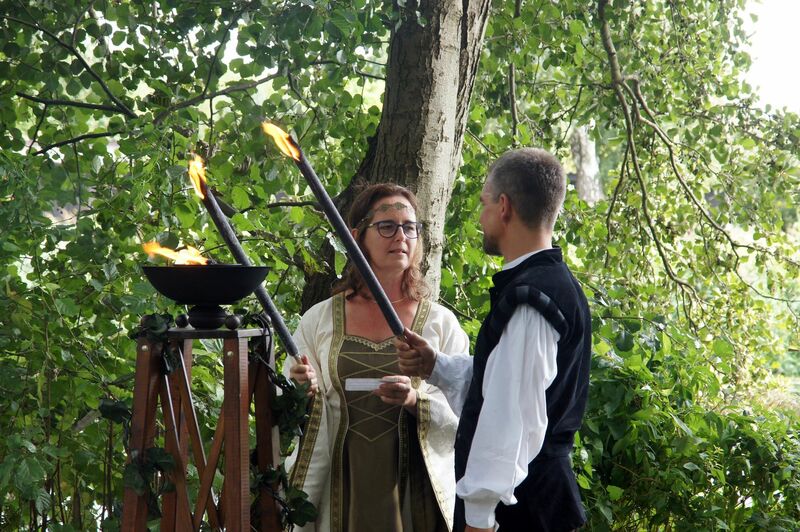 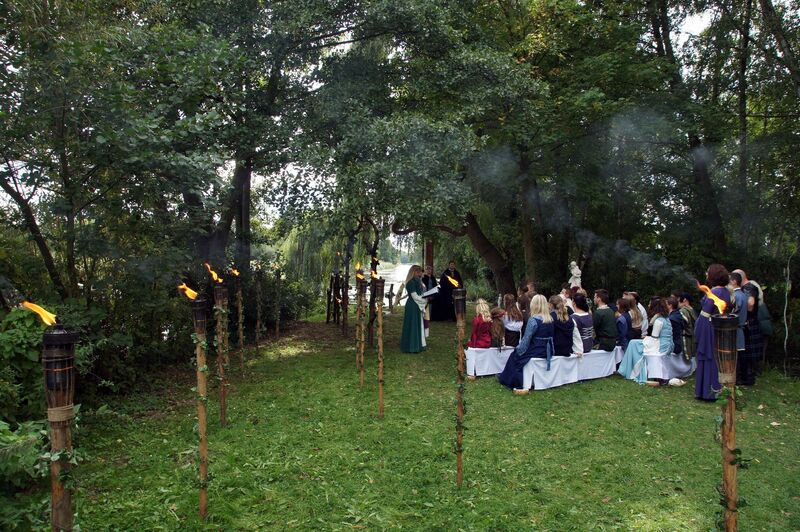 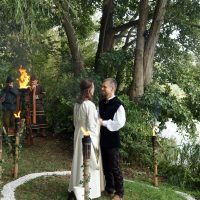 For this reason, we are appointed here with Katrin and Björn for their pagan wedding. 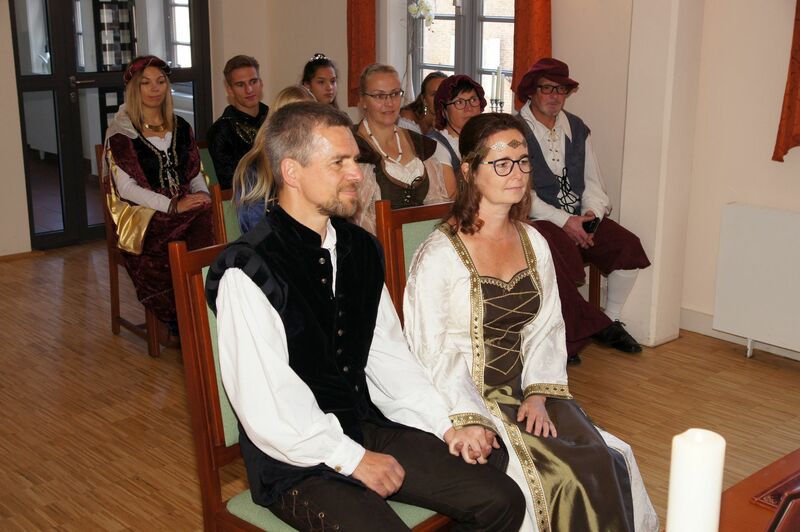 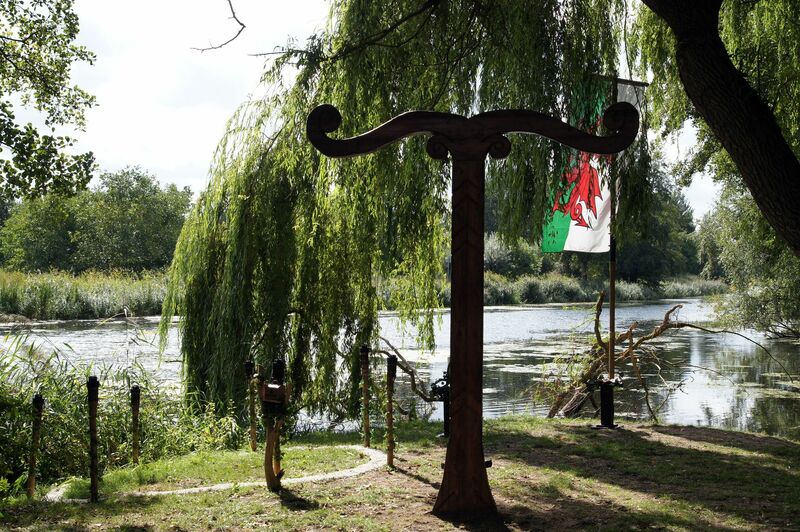 The wedding day begins at noon with the civil ceremony at the castle. 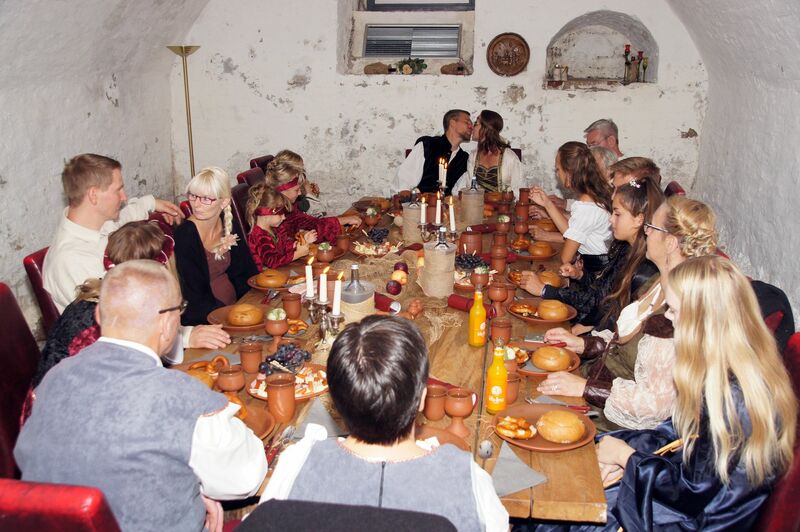 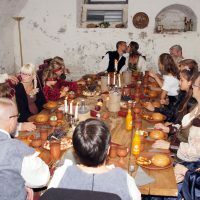 The bridal couple invites the wedding party to the subsequent knight’s feast in the vaulted cellar. 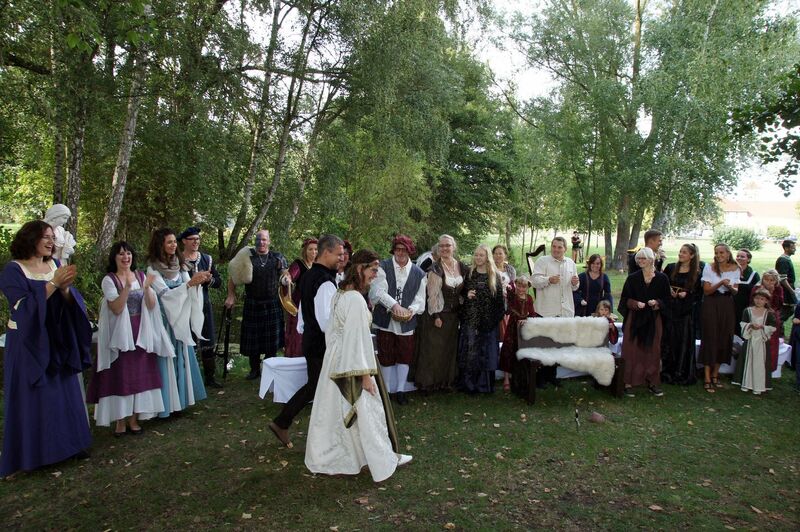 After everyone has strengthened, the pagan ceremony begins. 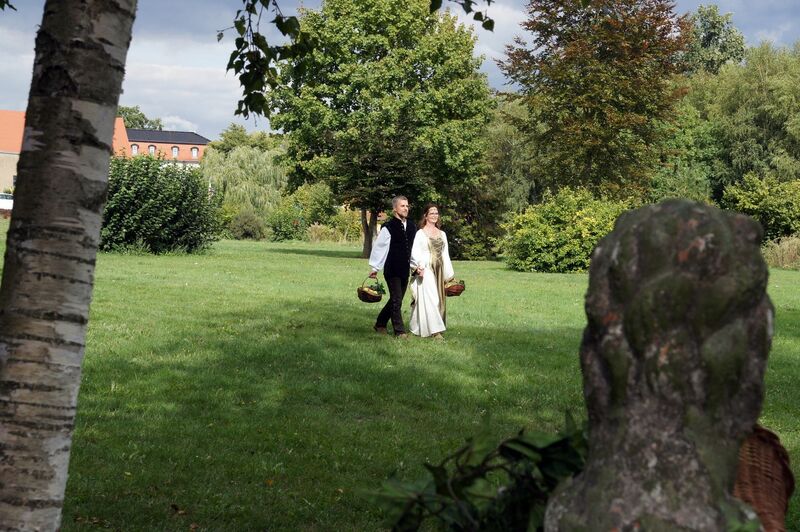 On a peninsula washed by both arms of the River Elde, Katrin and Björn promise mutual love and loyalty. 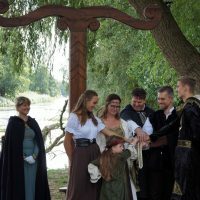 And just as the silver arms of the Elde rejoin into one flow, the threads of life of our bridal couple are bound together for all times as well. 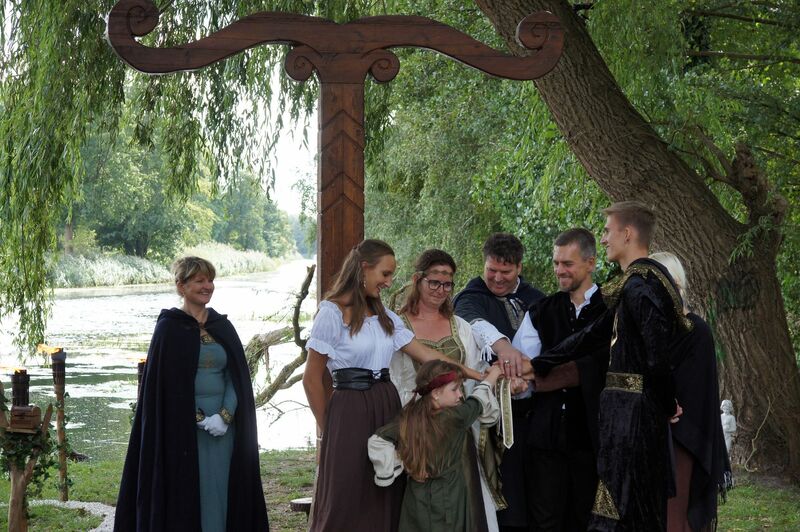 By the Handfasting, the 4 children Lysann, Marie, Bruno and Nora Justine express their approval for the new parental connection by imposition of hands. 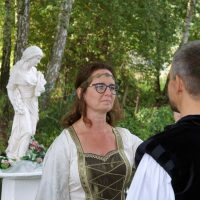 Dear Katrin, dear Björn, you are now connected according to ancient custom. 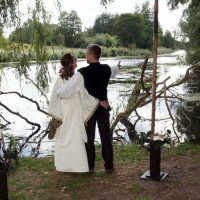 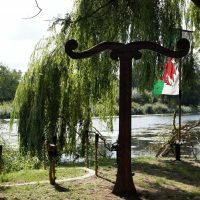 Your children, family and friends stand by your side – and we from eheleite.com wish you all the very best.